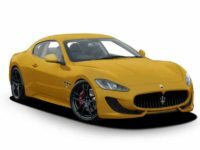 When you’re considering your next auto lease, and thinking about selecting a flashy, enviable Maserati automobile, you really should be looking to Car Leasing Brooklyn to get your Maserati lease! We’re the best Maserati leasing agent in all of New York, bar none! Our monthly lease rates are second to none in the state of New York, and with our close relationships with financial institutions and lenders, built up over the years we’ve been leasing automobiles, we can negotiate the most accommodating financing terms around! And as far as selection is concerned, Car Leasing Brooklyn simply cannot be beaten, as we leverage our connections with Maserati dealerships all over New York to bring you a composite selection of all of the vehicles they offer, including the Maserati Coupe, the GranTurismo Convertible, the Quattroporte Sedan and the Levante SUV! 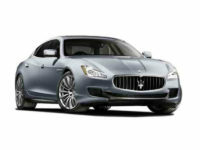 What’s more, our online Maserati auto leasing system is quite simply the most convenient way to lease an automobile in the entire business, with the entire process able to be performed from behind your computer screen – and with entirely free delivery of the Maserati vehicle to your home or office! 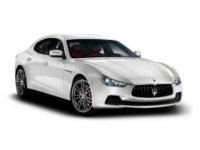 Come find out what Maserati car leasing can and should be with Car Leasing Brooklyn! Call 718-307-5639 or check out our Maserati inventory today! If you’ve looked at our Maserati stock page, you may be wondering how Car Leasing Brooklyn is able to offer such amazing Maserati leasing deals. It’s helpful to consider what goes into a “traditional” leasing agency. First of all, the physical car lot, showroom and office combination is an immediate drain on financial resources and an overhead cost that just keeps on coming, with the upkeep of the property, the monthly rent on the land, or if purchased outright, property taxes that rise every year. Furthermore, agents with brick-and-mortar premises have to buy a leasing fleet, often coming to hundreds of cars that have to not only be bought but maintained and upgraded with every successive model year. These are gigantic costs that have to be amortized over years and years, translating directly into higher monthly rates for you. By contrast, Car Leasing Brooklyn eschews both of these money-sinks, by using our website as combination car lot and showroom! This means that we have no physical premises that we have to maintain or pay rent on! And of course, since Car Leasing Brooklyn utilizes our relationships with Maserati dealers to offer their stock (like the Ghibli Sedan, Spyder Convertible, GranSport Coupe and Convertible, and GranTurismo Coupe) as our leasing fleet, we don’t have to buy a passel of cars each year, but change model years when our affiliated dealers do! Finally, since we don’t have to pay the salaries and commissions of a flock of salespeople, that’s one more cost that isn’t passed on to you! But don’t take our word for it – come see how economical a Maserati car lease can be at Car Leasing Brooklyn! 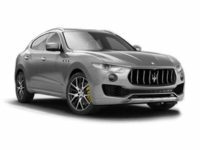 Visit the Maserati stock page at left, or call us up directly and begin the process of getting a Maserati auto lease from the best leasing agent around – Car Leasing Brooklyn!